That’s the one line from this book that keeps whirling in my head. Self-help books, motivational blogs, coaches and guru actively encourage you to aspire to that ‘personality’ ideal, and profess to help you achieve it. Not this book. It digs deeper into the people we are, what moulds us, what makes us and what makes us tick. As Susan Cain writes, there is the ‘extrovert’ ideal that all of us are forced to embrace. What’s so wrong about not being that? Of being more introverted, more reflective, less loud and forceful? In the world we live in now, to be an introvert is seen as a disability that has to be righted. Reflection, deep thought, analysis need to be sacrificed in the altar of presentations and larger-than-life personalities. Wait… you don’t have to. The book not only explores the power of introversion, but also brings those personalities (characters) who have achieved global success without the chest thumping. When Nat High first spoke of the book, I asked to borrow it. He was generous enough to gift me a copy. Thank you. The key take back from the book, for me, was that I could stop being apologetic about what didn’t come naturally to me. Yes, we have no choice but to create an extrovert persona for crucial public interactions. But for the large part of how we choose to function, it’s best to do so with our innate strengths, instead of trying to work on a weakness upon which we attempt launch our lives. It was at an MBTI (am an ENTP/J) workshop some years ago that I realised how close to the introvert mark I am. Just a couples of points across. Ambivert, that’s me. I hate labels, but this sounds cool. Ever since my school days, people automatically assumed I am an extrovert, and so I accepted that label. So all that social anxiety that I suffer before going into a non-work socialising gig with strangers I put it down to low self-confidence. As I grew older I realised that it wasn’t low self-confidence, but a reluctance to spend hours with people who were not ‘mine’. In time, I became more mindful of those who look ‘painfully’ shy. They probably just fall into the extreme of the introvert scale. And then I started enjoying their company so much more, I would seek them out (and they me). That joy of communication one-on-one, with someone who loves to listen as much as they love to be heard, is unmatched. Do try us. And do read the book. If you are on the introvert scale, it will give you comfort. If you don’t, it will help you understand us better. A book on Jesus of Nazreth should be reviewed on Christmas day. I am cheesy that way. 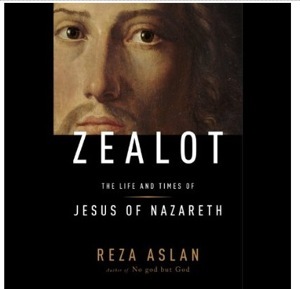 Zealot: The Life and Times of Jesus of Nazreth is both the first book of Reza Aslan’s that I purchased and the first audiobook I’ve ever listened to. Second, religion is scary. It’s not for me. So, Zealot is the story of people who sought a different story to guide their faith. It’s a fascinating narration of Roman rule, power of the clergy and Jesus of Nazareth. Even more fascinating is the building of myths and stories to empower faith, after crucifixion of their prophet. The roles played by Jesus’s brother James and both the apostles who knew him personally and those who didn’t, and the debatable claims about Jesus’s life by Paul. As per Aslan, Paul is amongst the first to envision Christianity as a religion. This book has been controversial in that it says Jesus was a passionate and zealous Jew, and not the man of peace that Christianity now makes him out to be. There have also been disagreements with the author on his reading of the New Testament. 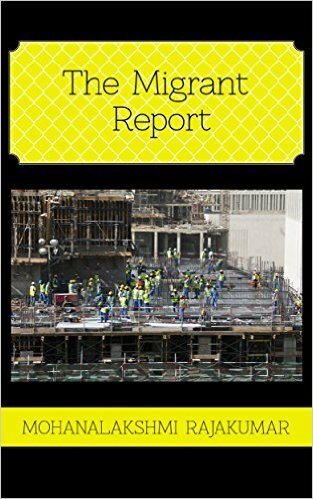 Since I am neither well-versed in the Testaments nor have read in great detail the counter-arguments, I consumed the book with the simple familiarity of a Hindu-born irreligious person who schooled in a Catholic convent. Zealot speaks of Jesus the revolutionary from Nazareth, before he became Christ. 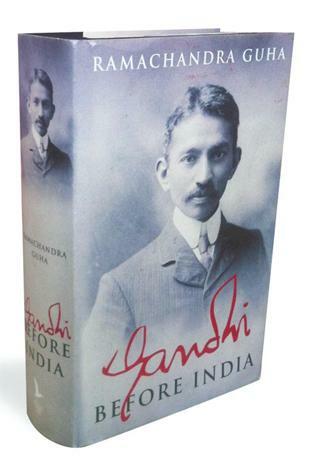 The life of a man when he was still in control of it vs. the history of a man as his followers sought to write it. Zealot is a reminder that everything that is to happen has already happened, and stories of violence, cruelty, abject poverty, vulgar wealth, goodness and humanity are cyclical. But with every cycle new martyrs, new heroes and new villains are created. Some cycles are more powerful than the rest, they give birth to set-in-stone narratives… religion. Listening to Zealot, for me there was an echo of another book that addresses the duality of Jesus: The Good Man Jesus and the Scoundrel Christ by Philip Pullman. That book again distinguishes between the human and the divine, and is well-worth a read too. I learnt a valuable lesson as a writer, listening to this audiobook; it underscored the importance of metre in all types of writing, not just poetry and lyrics. Aslan reads the book, or to put it more accurately, recounts a story. You realise then that why some writing is so compelling, while others barely manage to ride on the merit of its content.